Jumbo Partitions Leeds A Massive Service At A Low Cost. Partitions not only help in managing an office space optimally but make it more organized and cleaner as well. There are different types of partitions available but jumbo stud partitions have proven to be most effective. They are eco-friendly, sturdy, and durable. Among the top companies that offer services for jumbo stud partitions, Leeds, JK Ceilings rank among the most reliable ones. We are committed and dedicated to excellence. 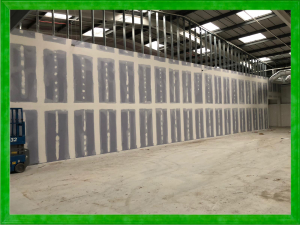 We install jumbo stud partitions in all types of settings across Leeds so that a vast space can be managed optimally. You can rely on us for premium jumbo stud partition installation services as we will get the partitions for you that are made of highest-grade materials only. We are known to make no compromise on the quality; hence, you can expect nothing but the best quality jumbo stud partitions that will be installed by us. The use of premium quality materials in creating jumbo stud partitions make them more durable and sturdier. Thus, they can last for a longer period of time without losing their sheen and mettle. If you are contact us for jumbo stud partition installation services, you can rest assured that the project will be completed in a professional manner. We will assign a team of hardworking, diligent, and skilled crew for your project. They will be led by an expert and experienced supervisor who will oversee the whole jumbo stud partition project and make sure it is completed in a hassle-free way. At JK Ceilings, we value the time of our clients. We understand the fact installation of jumbo stud partitions in an office space can put a halt in the business activities, which, in turn, affects the profitability of a firm. Thus, we go above and beyond the set standards and ensure that the project is completed before the due date. Our rates are unmatchable and services are top-notch. 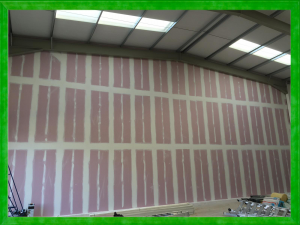 At JK Ceilings, you can expect nothing but the best services of jumbo stud partitions, Leeds that too at affordable rates. Jumbo stud partitions are versatile since they can be installed in an office, industrial site or a warehouse. With the help of them, a large office space can be utilized optimally. These partitions are eco-friendly as compared to other types of partitions available. Jumbo stud partitions can prove to be budget-friendly for you. They offer great sound and heat retention as well. For more information or to get these partitions installed in your office, feel free to contact us. You can call us at 0113 347 0639.